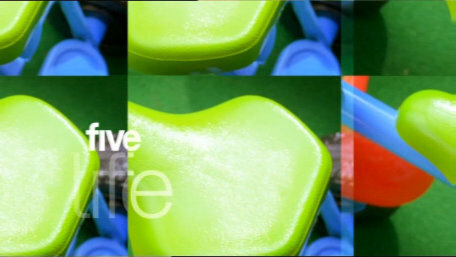 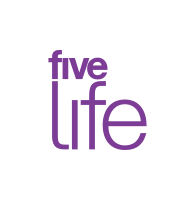 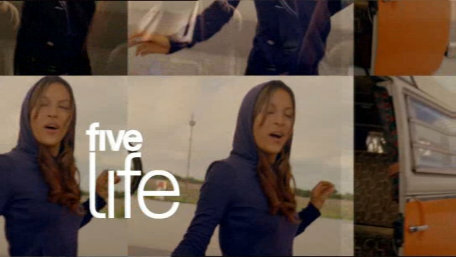 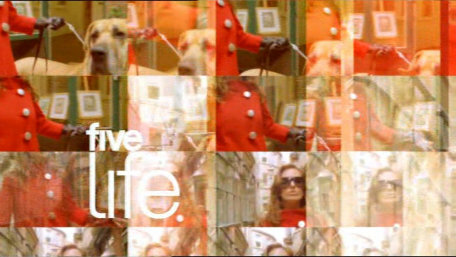 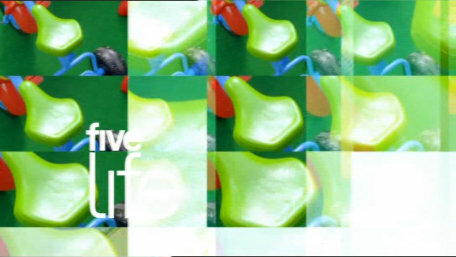 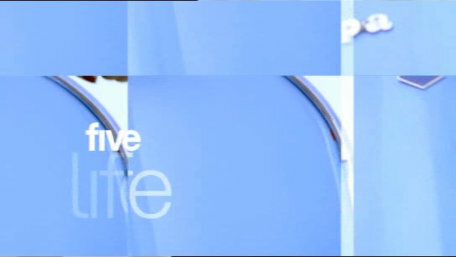 The idents used from launch on Sunday 15th October 2006 until the change of name to Fiver in 2008. 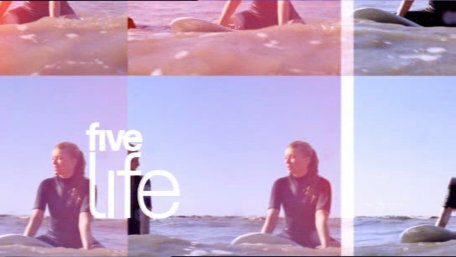 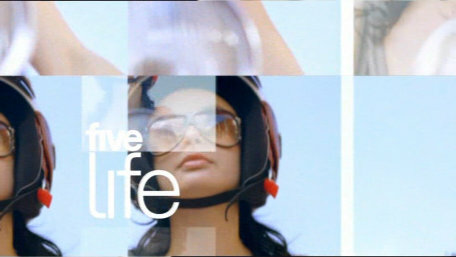 They appear to feature women enjoying life with a wierd split screen effect. 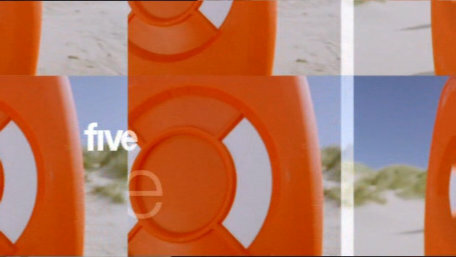 A trip to the beach in an orange campervan. 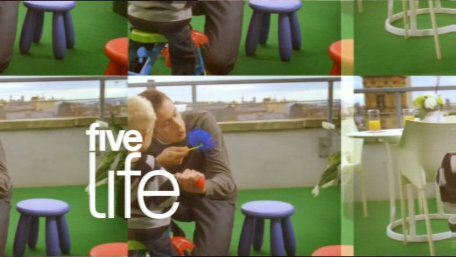 A trip down the beach and a ride along a terraced street on a blue bike..
A ride along a terraced street on a blue bike and a child playing on his trike. 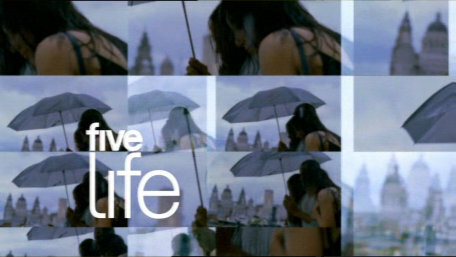 A child plays on the rooftop before we're off to get wet surfing. 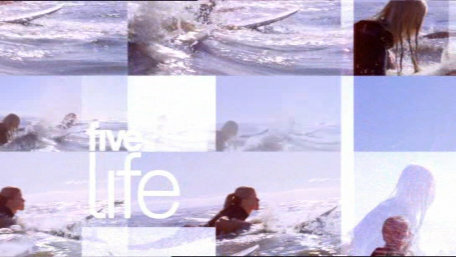 A woman goes out for a bit of surfing and then we're off to some bowling. 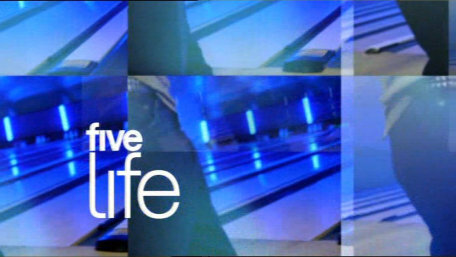 We're down the bowling alley and walking a dog. 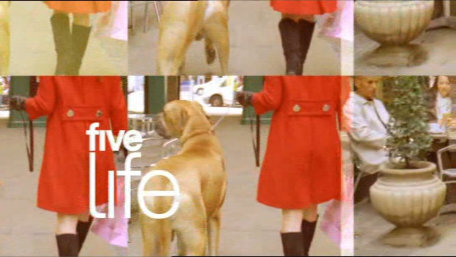 A woman Walks her dog down a street before we go over to a couple down at the docks. 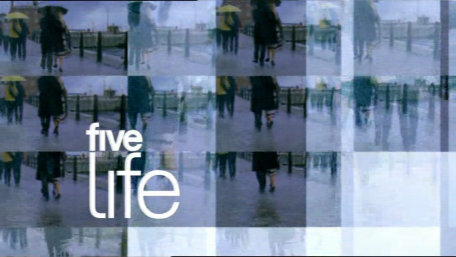 In the rain at the docks and back to the camper van. 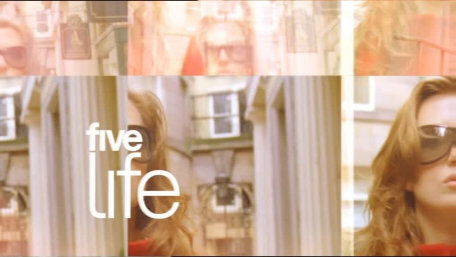 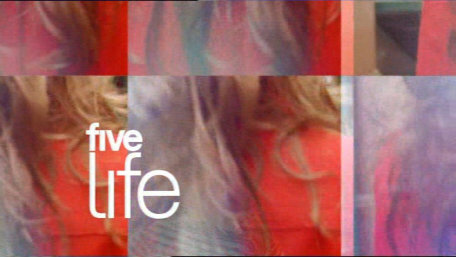 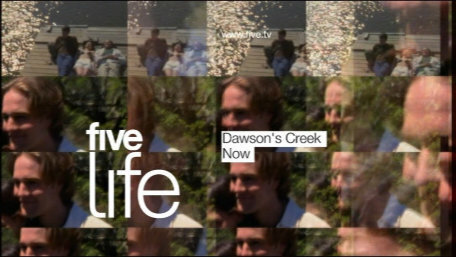 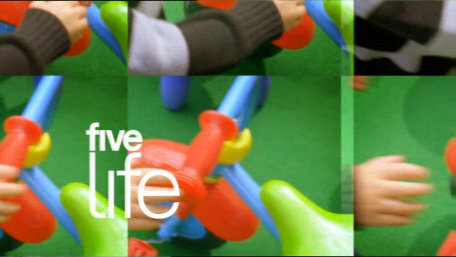 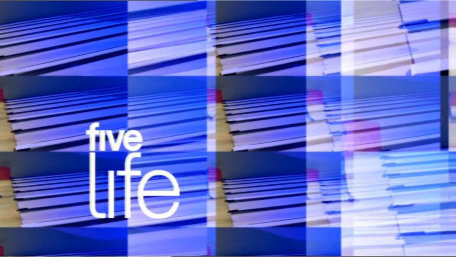 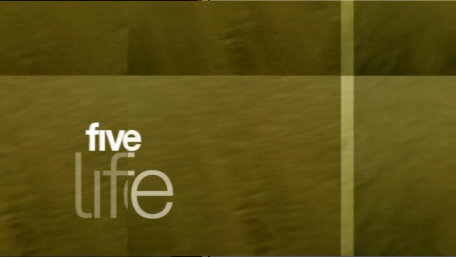 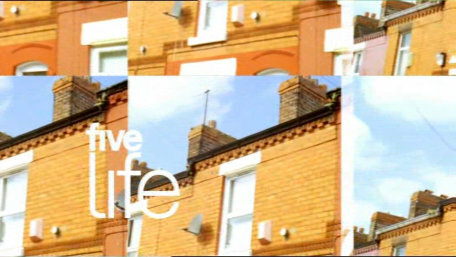 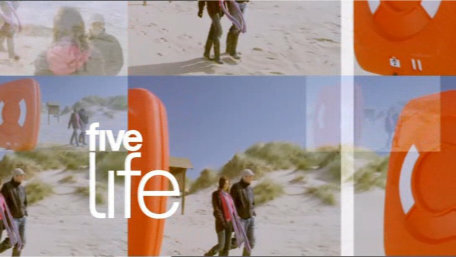 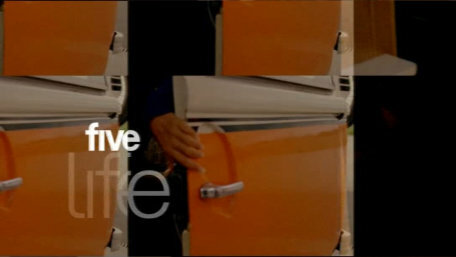 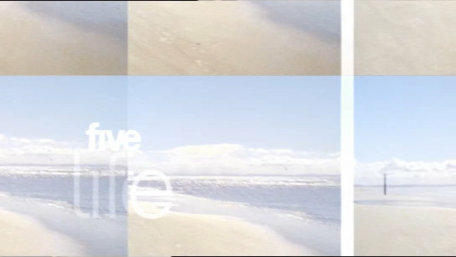 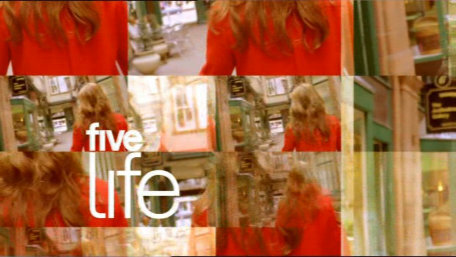 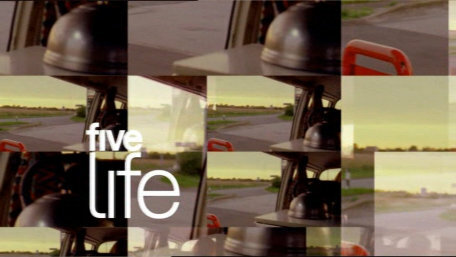 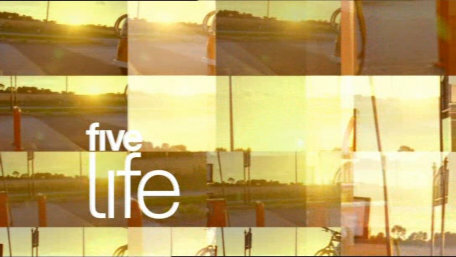 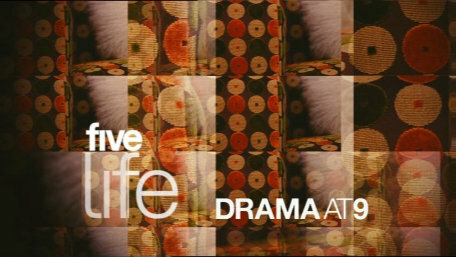 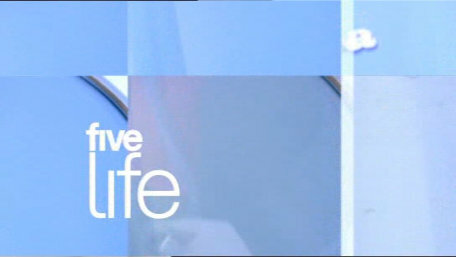 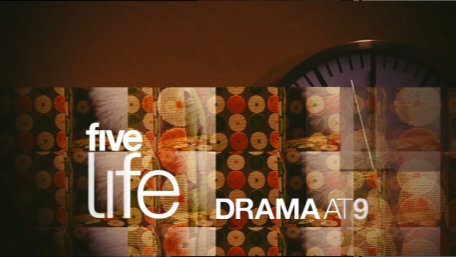 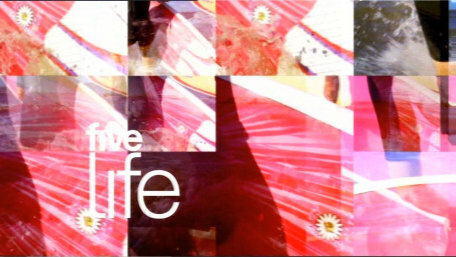 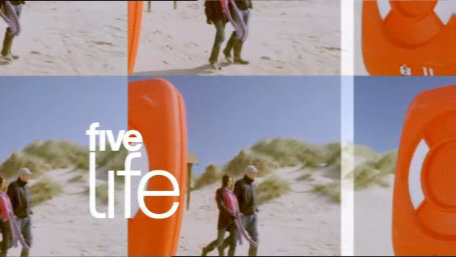 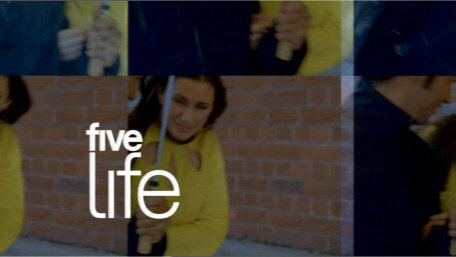 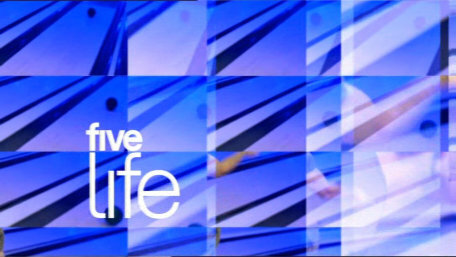 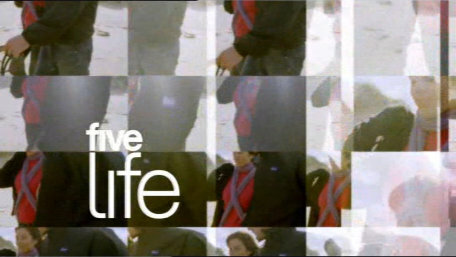 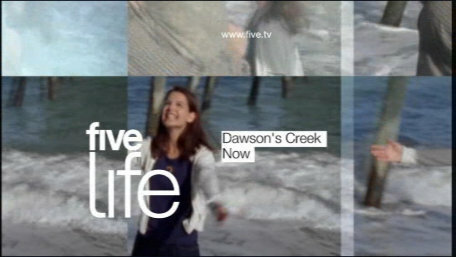 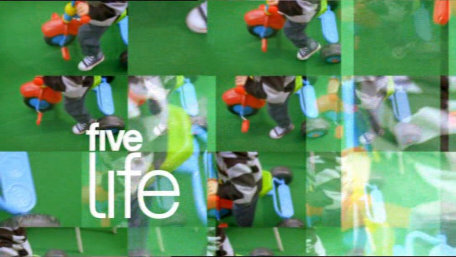 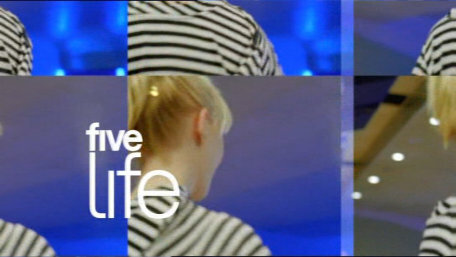 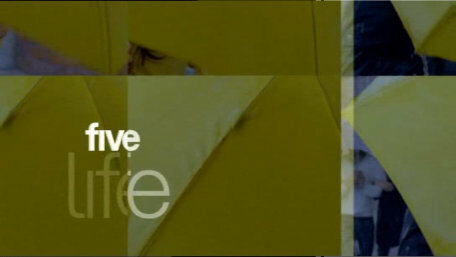 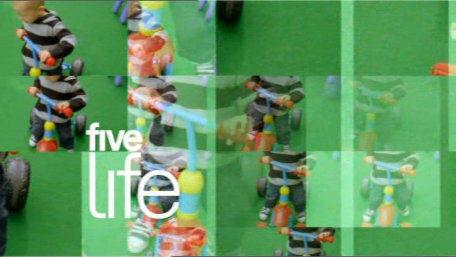 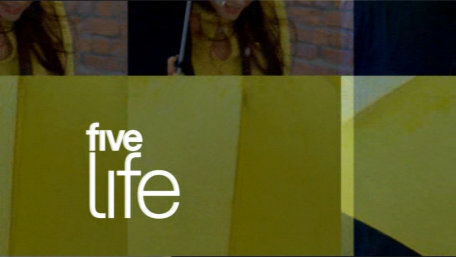 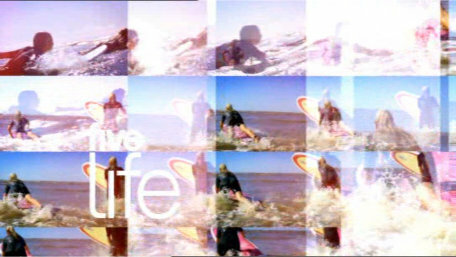 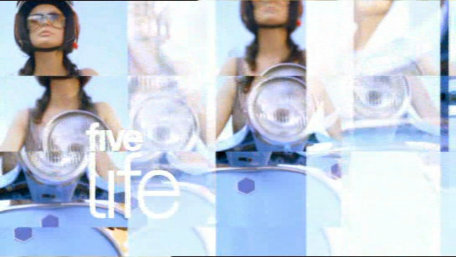 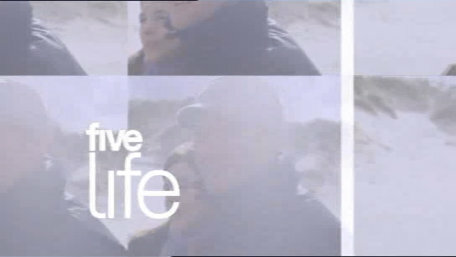 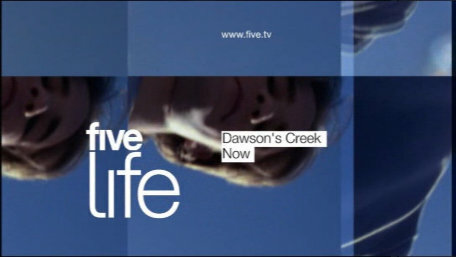 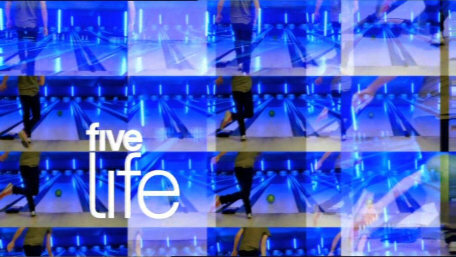 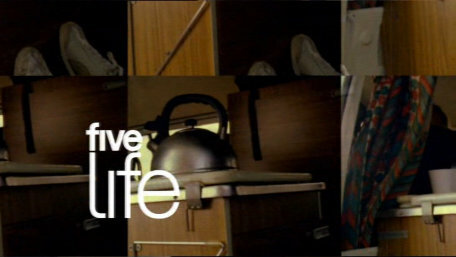 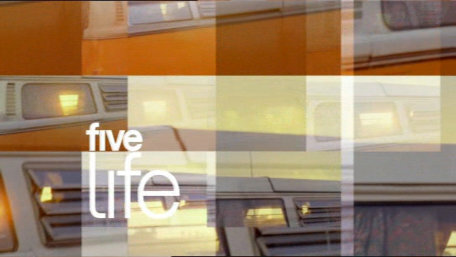 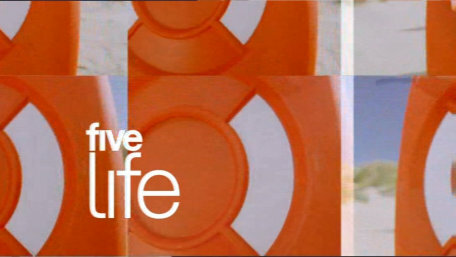 A special ident for use before episodes of Dawson's Creek on five life in late 2006. 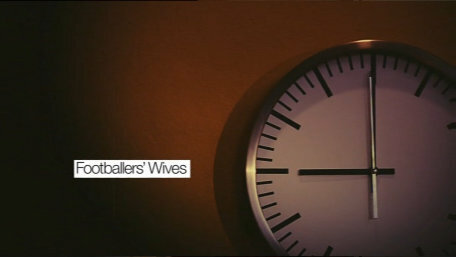 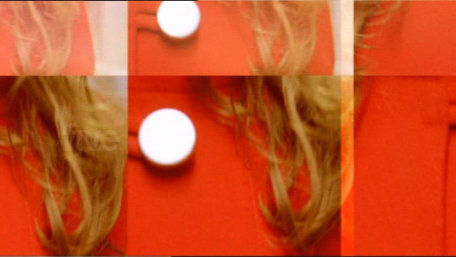 A special ident introducing Footballers Wives in the 'Drama at 9' strand on five life in early 2007.